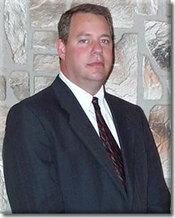 Scott Ritter has been the director and partner / owner of the Leo J. Henney Funeral home since 1986. Scott is very involved in the community, serving as an usher and officer of his church's social club. Scott has co-chaired the church festival the past few years and is very active in his church parish's school. Scott is very proud of his family, which includes his wife Lori of fifteen years, and their daughters Megan and Stephanie. Scott is also an avid sports enthusiast and enjoys the Pirates, Steelers, and the Penguins. 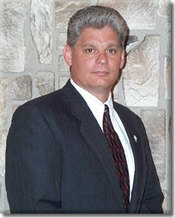 Gary Ritter has been the director and partner / owner of the Gary Ritter Funeral Home since March of 1994. Gary graduated from Penn Trafford High School in 1980 and decided to further his education at Duquesne University where he graduated with a Degree in Business Administration in 1985. 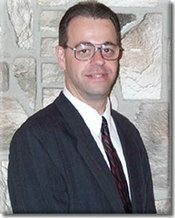 He also graduated from the Pittsburgh Institute of Mortuary Science in 1991. Gary is happily married to his wife Alison with whom they have three children Rebecca, Jesse, and Grace. The whole family enjoys attending St. Mary's Church in Sharpsburg on the weekends. Gary Mazak has been the director or the David Ritter Funeral Home and partners with Gary, Scott and David Ritter since 1984. Gary graduated from the Pittsburgh Institute of Mortuary Science in 1986 and served his apprenticeship at the David Ritter Funeral Home in Trafford. Gary is a member of the Nights of Columbus and is a devoted member of the St. Regis Church. Often you can Gary will spend his free time volunteering in his community or coaching one of the two baseball teams which he sponsors. Gary is very proud of his family which includes his wife Darline and their five children, Heather, Andrea, Alisa, Steven and Lucas.